This tip is for Windows 10 (all versions). We’ve covered how to use SFC (System File Checker) to check your Windows PC for missing or corrupted Windows System Files several times before. But today, we’re going to take it one step further. We’re going to show you how to use SFC and DISM (Deployment Image Servicing and Management) one after the other, to repair or replace corrupted, damaged or missing Windows System Files that may be causing problems with your computer or with Windows update. We’ll start by running SFC (System File Checker) to check Windows System Files. Now, with that out of the way, let’s run SFC (System File Checker) to scan and check the integrity of your Windows’ System Files. If it finds any missing, damaged or corrupted system files, SFC will attempt to replace them with the correct files. Open a administrator Command Prompt. 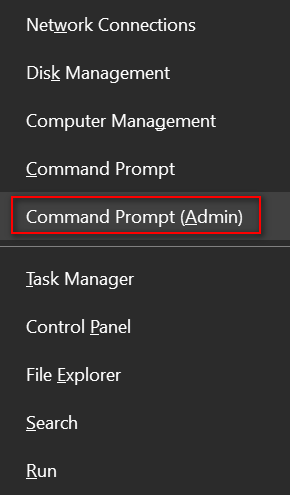 Press Windows Key + X then click on “Command Prompt (Admin)” – or type CMD in Taskbar search, right-click on CMD when it appears at the top and choose “Run as administrator”. NOTE: Don’t see Command Prompt? If you see PowerShell instead of Command Prompt in that menu, just type CMD into the Taskbar search and right-click on Command Prompt when it appears at the top and choose “Run as administrator”. At the prompt type SFC /SCANNOW and press Enter. Note the space after SFC. It will take some time to scan your system. In most cases it will take between 5 and 15 minutes. If SFC does not find any errors and says it found no integrity violations or if you get the result that tells you: “Windows Resource Protection found corrupt files but was unable to fix some (or all) of them”. You’re not done. You have more to do. 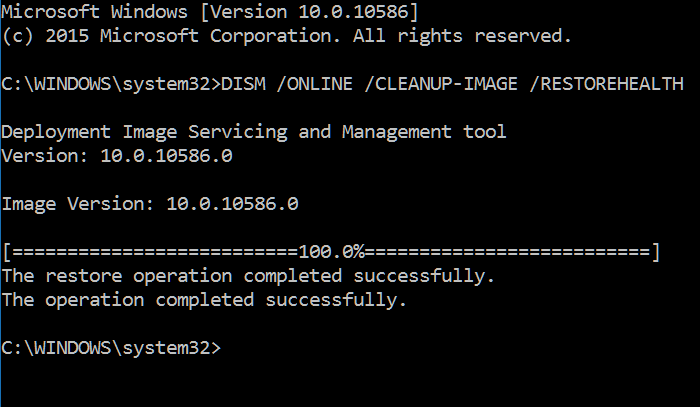 We are going to run DISM as an important second step in the process of replace missing, corrupted or damaged Windows System Files. Before you proceed to the next step, you’re going to need to restart your computer. So send yourself a link to this article so you can find it and finish the repair. Quick way to email this page to yourself? Click the green Print Friendly button at the top of this article and use the Email option. Always run System File Checker (SFC) before running DISM. Many times SFC will find and fix problems, and many times it will not find any problems, but that does not mean there aren’t any. And it’s also common for SFC to find problems but it cannot fix them or can’t fix them all. If you think your computer has problem and SFC tells you that it found no integrity violations, you should run DISM to double-check. If you get the message that “Windows Resource Protection found corrupt files but was unable to fix some (or all) of them”, you should can use the DISM tool to repair any damaged files that might be preventing SFC from working correctly. Make sure you type the command exactly as shown with the spaces as shown. 4. DISM will check your PC’s system files for corruption or damage and automatically fix any problems that it finds. DISM generally takes 10 to 20 minutes to complete. But you may notice that at some points DISM may appear to be frozen and not running, and other times it will appear to be stuck at 20%. This is common. Be patient and let DISM run and finish its work. If you interrupt it, it won’t repair anything, and you’ll have to start all over. After DISM has finished running, restart your computer. In some cases you may have to run SFC and DISM twice. Windows commands are not case sensitive. Will this same formula work on a Windows 7 operating system ? DISM does not work in Windows 7. You can use SFC /SCANNOW though. Okay, I think you had told us that a long time ago @ Windows 7…SFC /SCANNOW …. while I am still in the dark ages of 7 and will cry when I have to buy a new computer and learn the 10 system. I’ll be re reading many of your tips. I don’t always like change, especially on my computer operating system. Thanks for the reply.